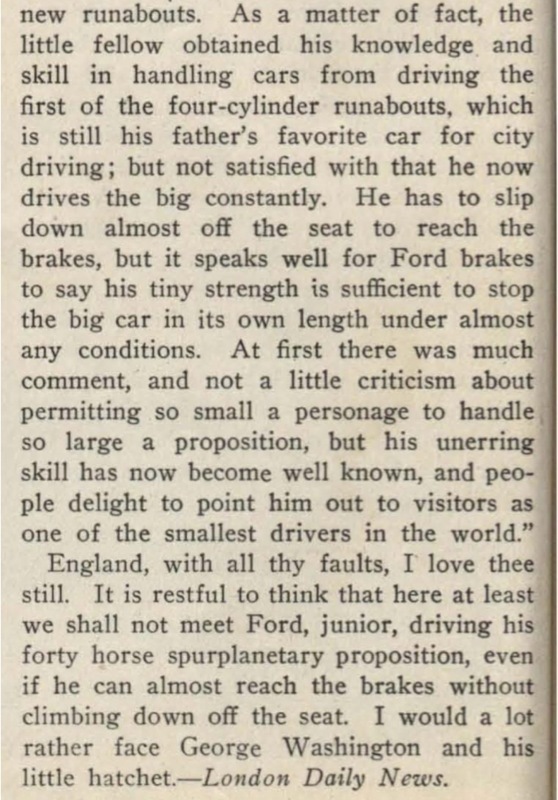 .......that Henry Ford didn't tear up (reference another thread). And one was a six cylinder and both had water pumps. Neat picture Rob. Must've been great for 12 y.o. Edsel to be able to buzz around in that car all big as life! Those are some neat looking houses too, just wonder what they look like today, or if they're even in existence. 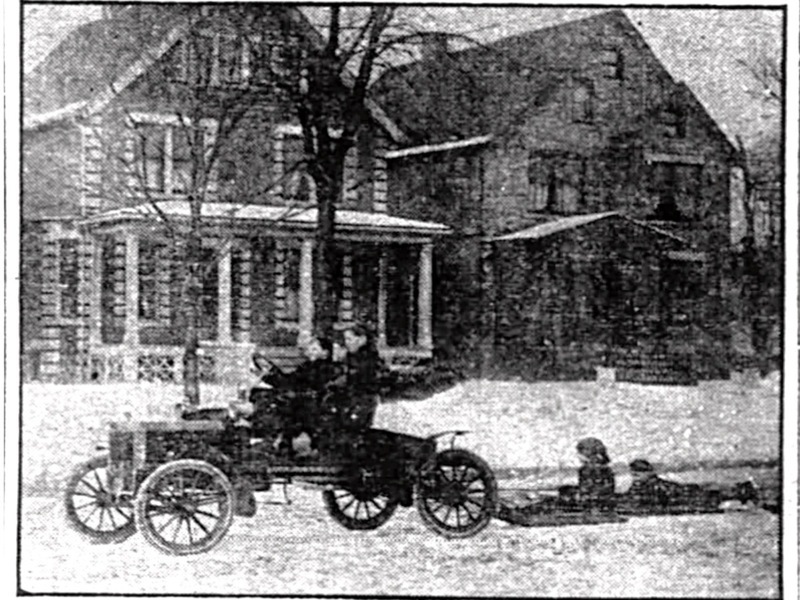 Notice the snow melt off the roofs down to the exposed eaves....no need for insulation back in those days! Coal was hot, plentiful, and cheap. As small as Edsel looks sitting in the N, it would be something to see him at the wheel of a K at the same age. I don't suppose there are any pics of that, but never say never. that is shocking!!! rite on a public street! and the children have no helmets! where are the police? I've seen that picture many times. 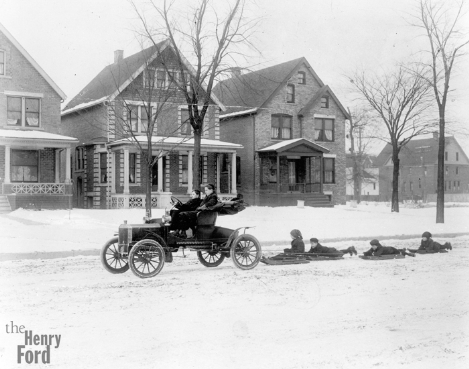 An original print (and most likely the original negative) resides in the archives of the Henry Ford. So - if you want to see a clearer copy, you could order one. Edsel probably felt much like my 12 year old grandson last year when he drove a 1967 Rolls Royce RHD coupe. I would feel the same way driving a RR too! Obviously Ford's PR department sent the story and picture to every newspaper and auto publication in the nation. 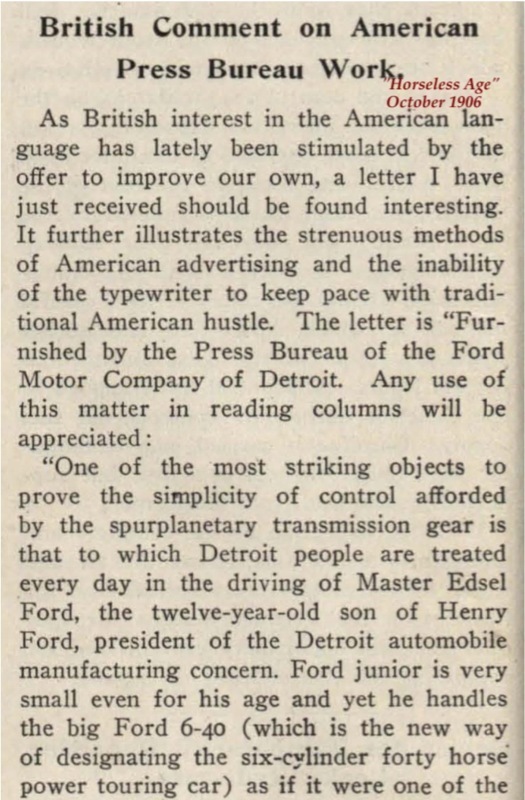 It's quite revealing how hard Ford's publicity department worked in those days. 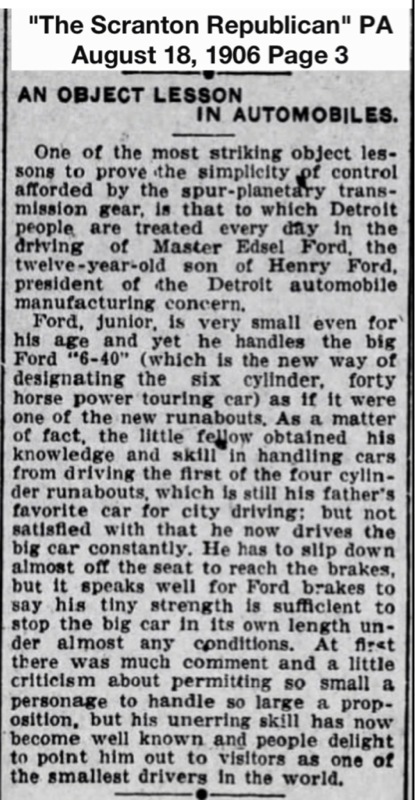 Can you imagine what would be the newspaper story if Bill Ford gave his 12 year old son (this is an allegory - don't try to literalize) a new Ford Fusion to drive up and down the street in Detroit today? Undoubtedly the story would be covering his arrest for child endangerment. 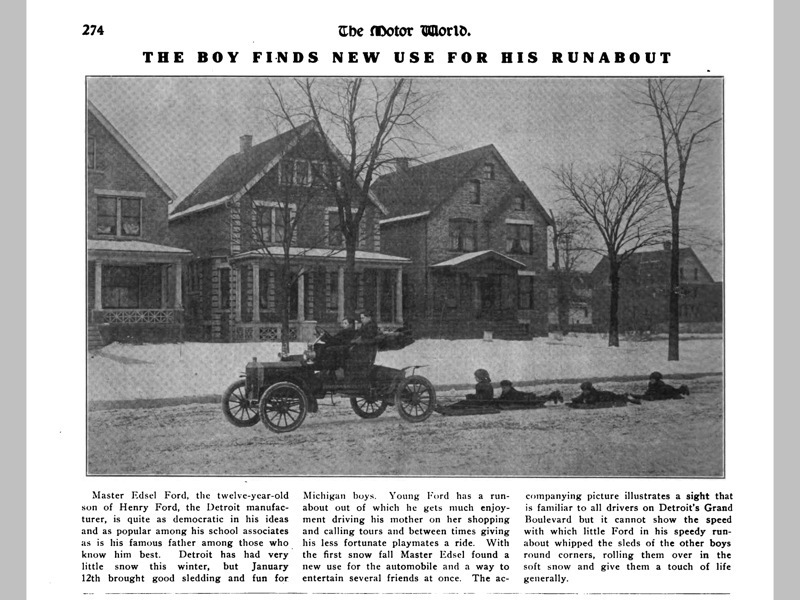 Like Erik said the picture is available from the Henry Ford. You can get a high - res download with your credit card online. It's a great photo. Royce, and besides that, if his kid dared to stop more than 15 seconds in Detroit, the next picture would be of the car up on blocks with no wheels!